Check out our top rated items in April 2019. 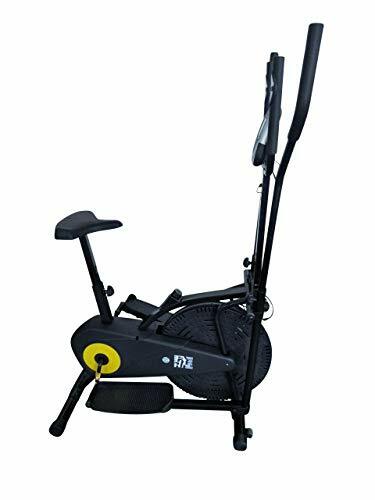 Allowing low impact but high intensity training, elliptical cross trainers are becoming an increasingly popular choice for the home workout enthusiast. Working the upper and lower body as well as the core, they’re the perfect solution for anyone wanting a one-stop machine that provides a more rounded workout than the ubiquitous treadmills, rowers and stationary bikes. However, the range of options available can be overwhelming. Does the stride length matter? What about the flywheel weight? Do I need programmes? Front wheel or back? It’s certainly not a straightforward process. Investing in any home workout equipment is rarely cheap, and it’s best to know how much you want to spend going in. 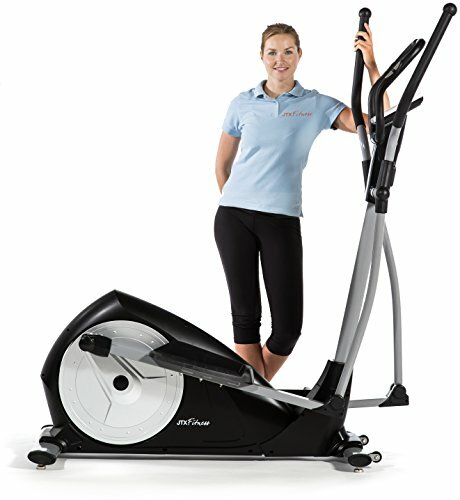 As a rough guideline, under £300 is unlikely to get you a cross trainer that will stand up to regular, long term use. And while it’s certainly possible to spend well over £1000, you may want to decide if you really need the specs a professional standard machine comes with. Another practical consideration. While the physical footprint of a cross trainer is already fairly large, consider that the pedals may extend beyond this when in use, and you’ll need room around it to allow you to work out comfortably. In addition, if you’re planning to move the cross trainer when you’re not using it, you’ll want to look for a lighter, wheeled machine. The weight of the flywheel determines the machine’s resistance to you changing speed – i.e. it dictates whether the machine responds immediately when you accelerate and stop or if it’s graduated. The lighter the weight, the quicker and jerkier the response will be, putting unwanted stress on your joints. Look for an absolute minimum of 5kg. The maximum distance between the back of your front foot and the front of your back foot. Too short a stride length will limit your movement, can feel awkward, and will make the workout less effective. The taller you are, the longer stride length you’ll need, but look for 40cm as a minimum. Some machines will have the option of an adjustable incline, allowing you to work different muscle groups and target the core more effectively. Use of the incline may affect the stride length, and it’s worth checking to see if the adjustment is manual (you’ll have to stop and get off to change it) or motorised. Many cheaper machines use a flywheel and belt system to control resistance (how hard you’re working to move the pedals). These tend to be less consistent and more prone to breaking. Electro magnetic systems use a push button system to vary the magnetic resistance that is applied to the flywheel, and are generally much more reliable. Machines that use a fan instead of a flywheel to create resistance are also available. Most machines will have a maximum user weight of 20 stone. However, if you’re on the taller and/or heavier side, try to test out the cross trainer to make sure it feels stable in use. You may prefer to go for a more solid machine with a high maximum user weight. There’s no right or wrong choice in this, and it will likely depend on personal preferences. The centre drive often has a small footprint, and the rear drive is more likely to have the option of an incline, while the motion of a front drive is often flatter. The options will vary widely along with the prices, but your primary concern should be ease of use. Many consoles offer programmes that vary resistance to provide interval training, simulate hill climbs, or to keep you in a target heart rate range. Bluetooth connectivity is also available, allowing you to track your activity through smart phone apps. 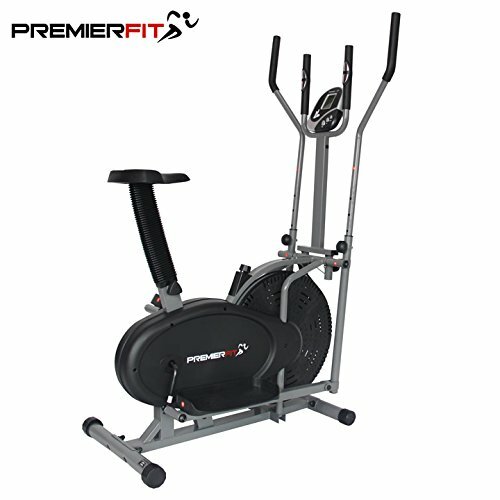 Hopefully this quick overview has given you the information you need to narrow down your options, and allow you to test out some cross trainers that suit you and your budget. And don’t forget to check the warranty!